The General Administration of Customs (GAC) Tuesday announced a list of the first five approved Cambodian banana plantations and seven packing factories. The move comes ahead of Cambodian Prime Minister Hun Sen's visit to China in late April for the second Belt and Road Summit in Beijing. "The timing is very good. Cambodia is also a model of cooperation on Belt and Road construction," Zhao Lei, a professor at China National School of Administration, told the Global Times on Thursday. 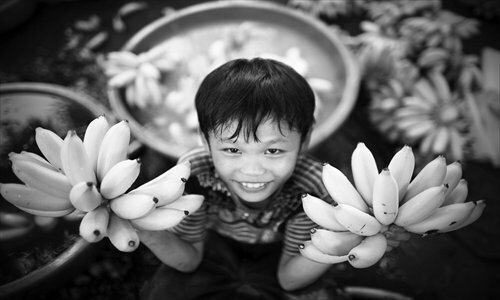 "More regional high-quality agricultural products will enter China in the future, after the country opens its market to Cambodian bananas," Zhao said. He noted that agriculture is very important for Cambodia and agricultural exports will bring great benefits to local people. The two countries will have broad space for cooperation in the fields of irrigation and water conservancy, transportation and communication in the future, according to Zhao. China has been negotiating with Cambodia for three years on fruit and vegetable imports but had no breakthrough as its products did not meet China's food standards, said the head of Cambodia's General Administration of Agriculture in 2018, Cambodian media reported. Things began to pick up in August 2018 when the two countries signed an agreement on the inspection and quarantine requirements for banana imports.